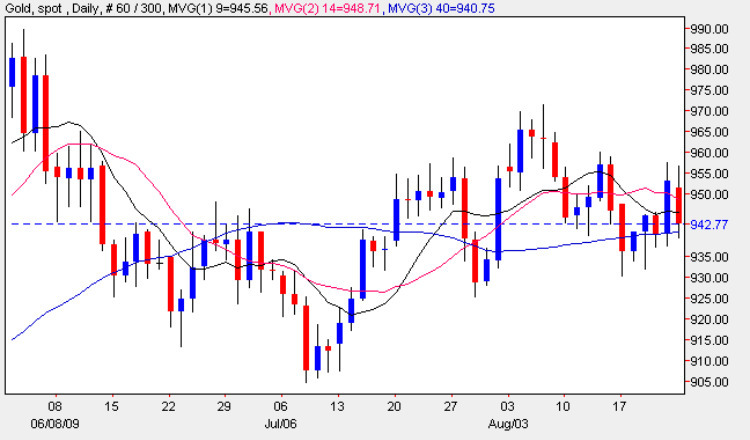 The pullback outlined in yesterday’s gold trading post arrived today with some force on the daily gold trading chart, ending the trading session with a wide spread down candle which closed below the 9 day and 14 day moving averages, but which seemed to find some support from the 40 day moving average once again. However, today’s gold trading price action is concerning for gold bulls for several reasons. Firstly as discussed yesterday, any failure at the $955 price level would indicate that the resistance at this level has held firm technically. Secondly a failure at this level would create a series of lower highs since early August, which again is not a positive signal, and finally with a breach of both moving averages this is adding the the general bearish tone for gold prices at present. This consolidated trading range on the daily gold chart is now becoming increasingly difficult to forecast from a technical analysis perspective and with the fundamental news now appearing to drive gold prices, the technical weight of any analysis seems diminished at present. 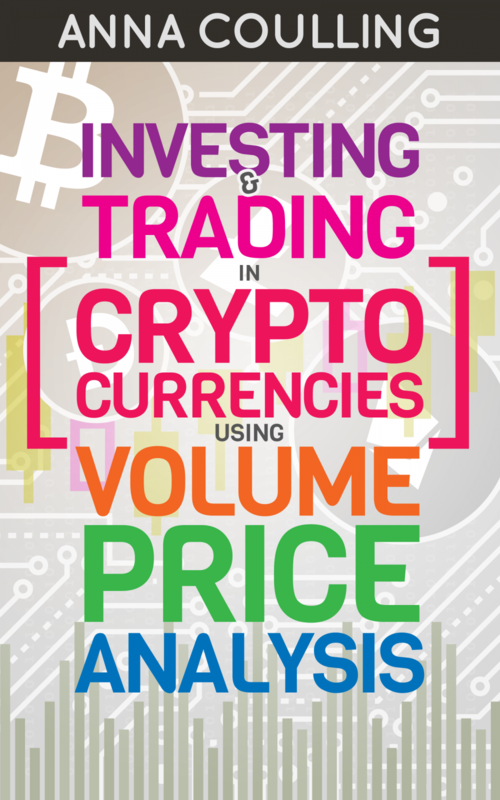 Until we see a clear breakout above the $970 per ounce level, or alternatively a fall below the $905 per ounce region, any gold trading opportunities will be limited to intra day scalping rather than longer term trend trading, and given the bearish nature at present, I would suggest looking for small short positions tomorrow with tight stop losses and small profit targets using the 30 minute gold charts.